Dave is one half of the two-man team manning the ICS ship. A native of Racine, Wis., he first became interested in calibration after joining the Marines at age 17. 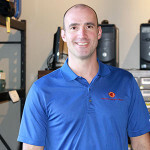 After working for various calibration companies and traveling the country working with customers, Dave joined forces with Darrell Martin in 2004 to form Instrument Calibration Solutions. 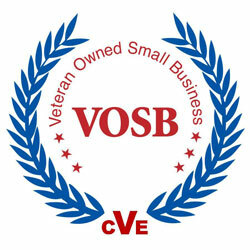 Today he is proud of the level of integrity that ICS operates with and how they always put the customer first. The father of two teenage boys, Dave is also an avid golfer and bowler. Back when he was a kid in Ambridge, Pa., Darrell always loved taking things apart and figuring out how they worked. After studying industrial electronics at Vo-Tech, he entered the Marine Corps where he worked as a Precision Measurement Equipment Laboratory (PMEL) tech, setting the foundation for a career in calibration. 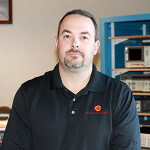 In 2004, he teamed up with Dave Beier to form Instrument Calibration Solutions (ICS). Darrell loves developing relationships and partnerships with ICS’s customers and making sure their expectations are exceeded. The father of two girls, in his free time he enjoys competing in extreme races. Anna joined the ICS team in October of 2013. As Operations Manager, Anna is responsible for customer communications, coordinating onsite calibrations, new equipment sales, formulating quotes, and overseeing in-house operations to ensure that ICS services are timely and of the highest quality. Anna completed her Bachelor’s Degree at St. Vincent College in 2009, and earned her Master’s Degree in Strategic Leadership at Mountain State University in 2012. After honing her management and organizational skills in the competitive corporate event planning industry, Anna embraced the challenge of managing operations at Instrument Calibration Solutions. As ICS continues to grow, she is particularly focused on ensuring that integrity and excellence remain forefront in every facet of the organization. With over 20 years experience in the industrial and scientific fields, Mary combines her attention to detail with extensive data research to ensure your orders are fulfilled to your exact requirements, and to make certain that your equipment is calibrated to it’s proper specifications.Mary ensures your order is handled with care from the moment it arrives at our facility till it returns to yours. 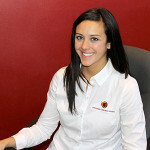 As a customer support representative, Mary is ready to assist you with any questions or concerns you may have. Customer satisfaction is her primary focus. A resident of Beaver County, Chris came to ICS in 2012. 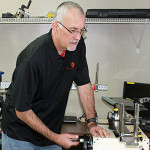 He has been in the calibration industry since 1986, honing his skills while serving in the United States Marine Corp. 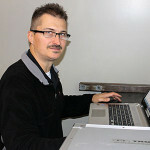 He enjoys the variety that comes with being a calibration technician, and meeting current and new customers. To relax, Chris enjoys long rides in the country on his motorcycle.